Have you noticed that wherever you go in the world there always seems to be an Irish bar? Well, this is just as true here as elsewhere on the planet. So if you like to party where Irish eyes are smiling, head to one of these Tenerife Irish bars. 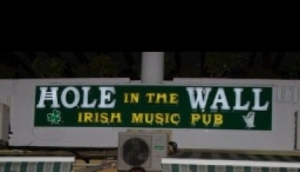 Tenerife is not exactly the Emerald Isle, but it does have its fair share of Irish pubs. Always friendly, always welcoming and always lively, the Irish bars in Tenerife are full of punters up for the craic! Be among the revellers and enjoy a pint of the black stuff. It can be said, with very little exaggeration, you would be hard pressed to find a visitor to Tenerife who hasn't at one time or another had a night out in The Dubliner.